Why Is Chiko is The Best Locksmith In Gaithersburg Md? It is no secret. Chiko Locksmith provides you with a wide range of locksmith services for any situation. We are a family owned business that takes safety and professionalism very important. No matter what your situation is, we are the best locksmith in Gaithersburg MD that can get you the help you need. We assure you speedy and high quality service every time, literally. With our 24-hour service, you can easily reach out to us if you are in a jam and need access to your home, car, office, safe, vault, etc., because you have been locked out. Are We Equipped To Offer Top-Notch Locksmith Services? We have a team of locksmiths who are highly trained and always available to meet you if you ever get locked out of your vehicle – car, truck or van. With our auto locksmith service, you can expect us to get you back into your vehicle whether you have locked your key inside or you have lost your key. Our locksmiths are not only highly skilled but they are heavily equipped with the right tools to help you regain access to even the most sophisticated locks. Homeowners who require rekeying of locks or lock replacements can benefit from our residential locksmith services as this covers issues that have to do with repairing, rekeying or replacing locks to your home. Our expert technicians provide a range of professional services as well as a wide selection of customized locks to best fit all of your needs, without the need for a second appointment. We have all the modern tools and expertise to get you access to whatever you need without causing any damage or malfunction to your valuables. 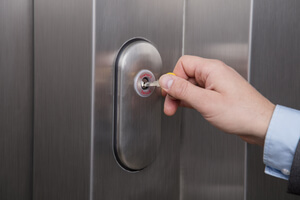 Through our commercial locksmith service, we help with a host of other services which include repairing or replacing office locks and keys, or keys to filing cabinets, mailboxes, safes, and so much more. Here is why we are considered the best locksmith in town. We are a highly-qualified team of professionals. We are trained and experienced with all kinds of locks, whether they are small, heavy-duty or delicate. We get the job done, in one appointment. We aim to give our customers high quality service at all times; great value for your money. We care about your safety. We take much pride in ensuring that our work is carefully done in as short a time as possible without causing any damage to you or your valuables. If you are stranded, an emergency locksmith will meet you where you are very promptly get you back on track safely. Hands-down, no other locksmith company compares to Chiko Locksmith. We are the most reliable locksmith in Gaithersburg that will always be available when you need us, where you need us, with all the right tools and skills.